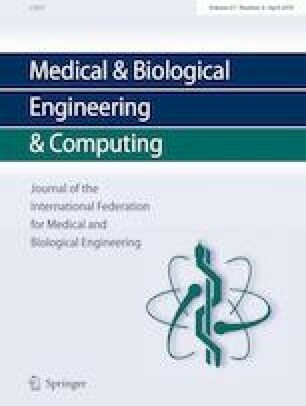 To quickly construct and conveniently modify the ideal orthopedic plates for individuals, a novel approach for designing the customized orthopedic plates is put forward based on bone template and plate semantic parameters, thus avoiding the need for the detailed geometric operations and the design of orthopedic plates from scratch each time. 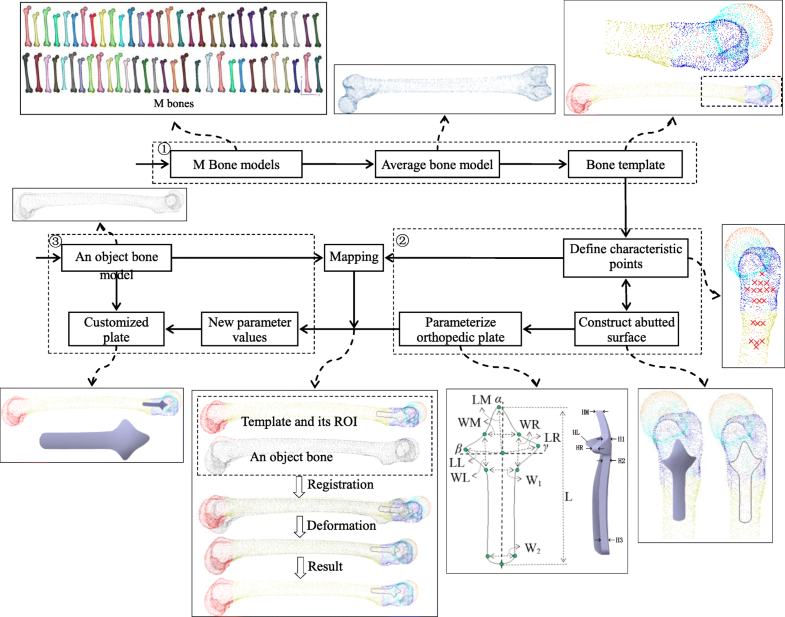 Firstly, an average bone model (ABM) is created from the existing bone models, among which each bone has an equal contribution to the ABM, and then the template, which contains region of interest (ROI) and segmentation regions, is constructed based on the ABM. Secondly, attached on the template ROI, the abutted surface feature of an orthopedic plate is designed including definition of characteristic points and configuration of semantic parameters, with a directed graph proposed to define the constraint relationship between semantic parameters. Lastly, the custom-designed plate for the target bone can be adaptively generated with a group of new semantic parameter values which are obtained through the mapping from the template to the target bone model. This plate can be easily extended to suit the bones of the same type for individuals by just editing semantic parameters. This method supports modification for a custom-designed plate with semantic parameters, consequently promoting the quality and efficiency of orthopedic plate design. This research was supported by the Natural Science Foundation of China (grant no. 61472118), the Natural Science Foundation of China (grant no. 61772172), and the natural science foundation of Jiangsu Province in China (grant no. BK20141158).